Daniel 10:21 But I am to tell you what is inscribed in the book of truth. There is no one with me who contends against these princes except Michael, your prince. Daniel 12:1 And at that time Michael, the great prince, the protector of your people, shall arise. There shall be a time of anguish, such as has never occurred since nations first came into existence. But at that time your people shall be delivered, everyone who is found written in the book. Revelation 12:7-9 And war broke out in heaven; Michael and his angels fought against the dragon. The dragon and his angels fought back, but they were defeated , and there was no longer any place for them in heaven. 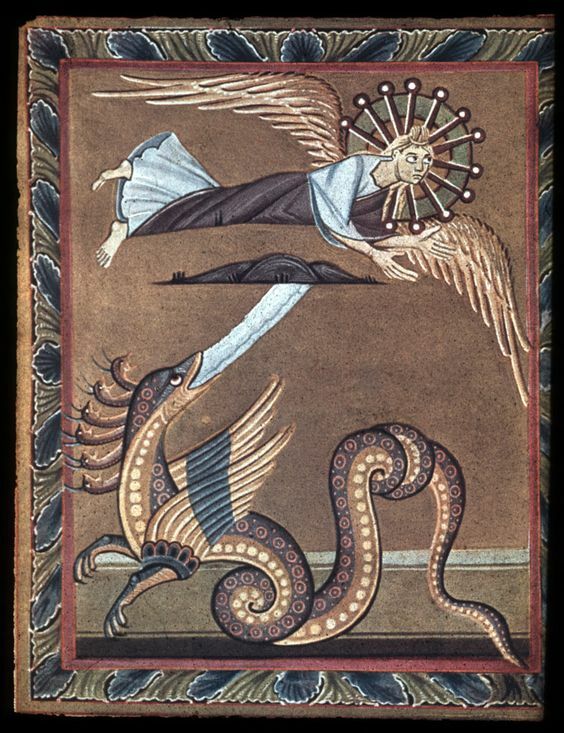 The great dragon was thrown down, that ancient serpent, who is called the Devil and Satan, the deceiver of the whole world – he was thrown down to the Earth, and his angels were thrown down with him. 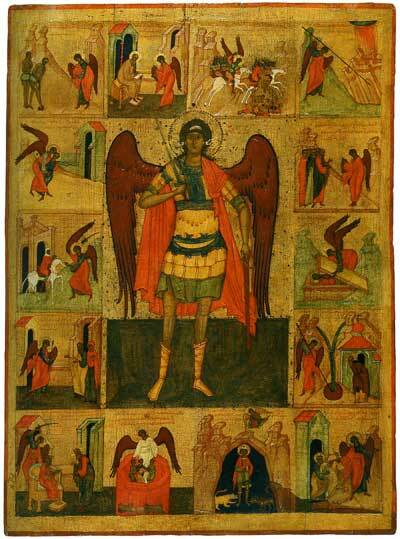 Sura 2:98: Whoever is an enemy to God, and His angels and His messengers, to Gabriel and Michael! Then, God (Himself) is an enemy to the disbelievers / to those who reject Faith. Examples of Depictions of Michael in Art. 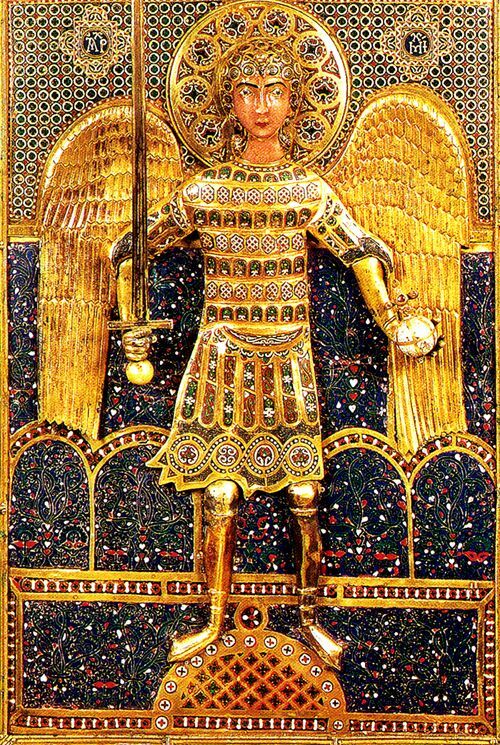 St. Michael Detail of the central panel : Late 11th or early 12th century, Constantinople. Gold, silver gilt, cloisonne enamel on gold. This entry was posted in Angels. Bookmark the permalink. Gabriel – Angel or Alien?